The case was that of a 12 year boy,R M Vijaram, who was admitted to Apollo Speciality Hospital, Chennai under the care of Dr Revathy Raj. 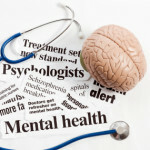 The doctor diagnosed the patient as suffering from advanced stage leukemia and initiated chemotherapy on the patient. Soon after in December 16, 2008, the patient underwent a Haploidentical Bone Marrow Transplant at the hospital. Unfortunately, the patient didn’t survive long and died on April 17, 2009. The father of the patient approached the state commission, alleging medical negligence on the part of the hospital. Muthukrishnan, the father of the deceased alleged that the doctor compelled him to give consent for a bone marrow transplant on the boy. He further added that the doctors at the hospital did not perform any findings relating the possibility of a virus called cytomegalovirus in the early stage. The test, however, according to him was done at the later stage, after which infectious disease specialist from the hospital prescribed a medicine that was not even available with the hospital pharmacy. Another allegation made against the doctor, was that he was travelling abroad from April 10th to April 17, 2009 , leaving the patient without proper care. The state consumer forum, after hearing, directed the doctor and the hospital, to pay a compensation of Rs 23 lakhs to the family of the deceased on account of medical negligence. The hospital soon approached the NCDRC challenging the said judgement . The hospital in its statement said that soon after the boy was diagnosed with the disease the family of the patient was tested for matching stem cells but none of the family members’ stem cells matched with the patient. Thus the hospital carried a worldwide research for cord and marrow donors for six months which also failed as no match was found. After all these sequential efforts by the hospital high risk identical stem cell transplant was advised on the patient. In the instant case, extensive search was made by OP for matching BMT but no matching donor was identified. Therefore, the expert opinion of Prof. Mammen Chandy from CMC Vellore was also sought for Haploidentical BMT. As per the medical literature, Haploidentical BMT is novel procedure where mismatch stem cells are treated with monoclonal anti bodies to prevent graft vs. host diseases – a dreaded complication of mismatch transplantation. The over all survival rate in the cases of Haploidentical BMT is 5 to 10 %. The death of the patient was due to number of known complications, which are consequences of BMT. 1. Virology test was done late by six months. 2. Doctor was traveling during a crucial week, without appointing a replacement doctor. 3. Medicine prescribed were not available in the hospital store. The Court has totally ignored these three points and given judgement on some other points which were not even part of the complaint. This is absurd. Judicial negligence, Hospital should file a case against the judge for not studying the case and creating so much stress and also should pay damages monetary for the defamation caused by this. 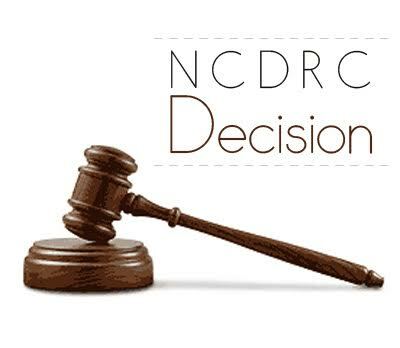 What if anyone can not approach the NCDRC ? What about the wrong decision of state consumer commission?